Whether you’re trying to keep the mold growth in your basement at bay or wanting to improve the air quality of your “man cave,” a dehumidifier is a must-have. Basements are known for having less-than-stellar air conditions. Without a little help, these underground dwellings can be damp, smelly, and just plain uncomfortable to be in. With more and more people taking advantage of their basement space for storage or recreation, it’s time to do something about air quality. Dehumidifiers take out that stale air and breathe new life into the space. Without one of these devices, basements quickly become a haven for condensation and mold. This can ultimately lead to rot and damage. To save your space and make it place you want to spend time in, take a look at some of these high-quality dehumidifiers. 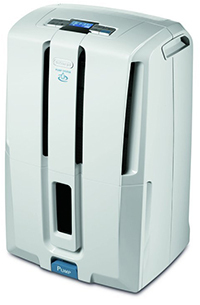 This dehumidifier from DeLonghi is perfect for smaller basements. It can remove up to 50 pints of water per day, allowing you to keep a basement that’s under 1,000 square feet in size dry and comfortable. There’s a 6-liter tank to hold the moisture. Water levels in the machine are clearly visible through a window. The device gives you a few options for emptying the reservoir. You can do it by hand, into a drain through a 3-foot hose, or continuously with the built-in pump. With a 16-foot hose, you can set the machine to empty automatically. There’s also a timer and LCD screen. The screen lets you monitor the temperature and set humidity levels to your liking. 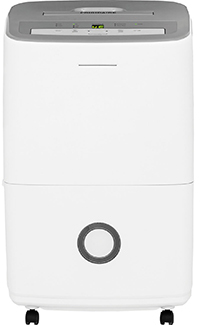 If you’re after energy efficiency, this dehumidifier is a great option. It’s Energy Star qualified and can remove up to 50 pints of moisture out of the air per day. 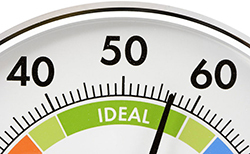 You can easily set the humidity level anywhere between 30 and 90 percent. Water is placed into the built-in 16-liter reservoir. Alternatively, you can use the pump to automatically drain moisture. It can deliver condensation up to 15 feet away. The machine is very easy to read and operate. Controls for the humidity, timer, and fan speed are located on the top. There’s also a removable filter and wheels for easy moving. The unit is sleek in design, allowing it to blend in with any decor. 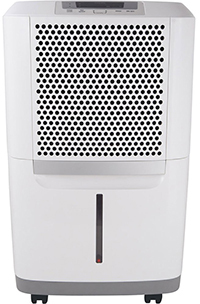 Made to make a larger room more comfortable, this dehumidifier from Frigidaire can remove up to 70 pints of moisture per day. Despite its larger size, the unit is made for portability. Not only are there wheels to move it around, but there’s also top and side handles to make going up or down stairs a breeze. The included anti-microbial filter removes impurities and can be cleaned for reuse. Electronic controls on the top of the unit let you manipulate the humidity levels. There’s a built-in reservoir with automatic shut-off and audible alerts. Moisture can also be emptied continuously if placed near a drain. It’s Energy Star rated and can handle rooms up to 1,400 square feet. For big-scale jobs, take a look at this dehumidifier. Also from Frigidaire, this unit can remove up to 95 pints of moisture per day. It has a simple and sleek design that’s unobtrusive. Like the previous option, the 69-pound unit has a variety of options for moving it around like handles and wheels. It can be run continuously or during preset periods of time. A 6-foot cord provides enough versatility to place it anywhere. There’s a large reservoir with a level indicator and the option to have continuous drainage. Simple buttons allow you to set humidity levels between 35 and 85 percent. 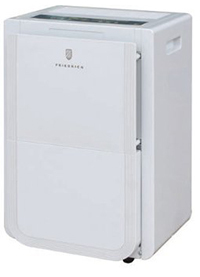 This dehumidifier can remove up to 70 pints of moisture per day. It’s designed to remove moisture while also improving air quality. As air passes through the unit, it’s run through a fine mesh filter. The filter catches dust particles and can be cleaned out in a sink. The unit has a large water reservoir, though it can be emptied continuously if placed near a drain. The unit features durable wheels and a pop-up handle for portability. Easy controls allow you to create the perfect environment for your needs. Extra features like a timer, control lock, and digital readout are also included. *The system is Energy Star certified and has a relatively low running temperature to help you save energy and money. How Do Humidifiers Improve Air Quality? Dehumidifiers work as their namesake suggests. Essentially, they remove excessive moisture from the air. This moisture isn’t visible, but it sure is felt. Humid air can feel sticky and uncomfortable, making it difficult to spend any real time down there. In most cases, it’s instantly felt the second you come down the stairs. What’s worse is the results of extra moisture. Mold can start to grow in any area where the humidity level is 60 percent or more. Mold can wreak havoc on the overall structure of your basement and anything in it. If you store any precious items down there, they’re at risk for damage over time. Damage is especially bad on wooden or porous objects. Mold will grow on carpets, clothes, and even drywall. Dehumidifiers help avoid these issues by bringing down the humidity level significantly. A fan pulls air into the device. This air is then stripped of its moisture thanks to its exposure to hot and cold temperatures. Inside the dehumidifier are two sets of coils. These coils are filled with refrigerant to make them hot and cold. As the air enters the device, it first makes contact with the cold coil. When this happens, the moisture is pulled from the air and falls down to a reservoir. The air then goes through the hot coil to warm it back up to room temperature before being recirculated into the room. With their powerful fans, dehumidifiers also keep the air moving to avoid stagnation. There’s a wide range of options available. However, the right one for your space depends entirely on a number of factors. Not all dehumidifiers are the same, so it’s important to know what to look for and how to choose based on your needs. 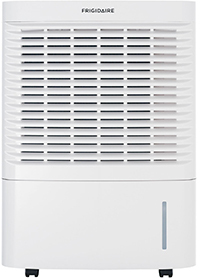 Manufacturers offer dehumidifiers in a variety of different sizes. Generally, the machines are quite large. It’s good to consider the portability of a dehumidifier to ensure that it doesn’t become cumbersome in the space. Many options come with castor wheels that make moving it a cinch. This ensures that you can easily move and empty the device as needed. In addition to portability, take a look at some additional features you may need. Do you plan on running the machine all day long or only when you’re in the room? If you plan on running it constantly, it’s recommended to get an option with an automatic shutoff to ensure that the reservoir doesn’t overflow. Timers and sensors can also be beneficial if your looking for something low maintenance. Additional features like hoses for emptying the reservoir and automatic functions should be considered as well. Before purchasing a dehumidifier, you need to consider the size of your basement and how damp the air feels. Larger spaces will need a robust system that can quickly remove moisture. You want to get a system that matches the needs of your space. A small dehumidifier won’t do much for a large room. 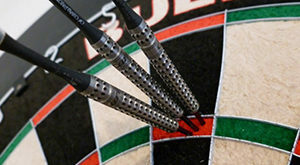 Large systems are typically capable of removing 75 pints or more of moisture per day. Medium and small systems can remove between 45-50 pints and 25-40 pints per day respectively. With that being said, it’s also good to consider how much moisture there is and how much you want to run the machine. If your basement isn’t too bad, you may be fine with a medium machine. Alternatively, a smaller space with significant moisture may need a larger option. All in all, it’s about finding the balance you need. It’s a good idea to measure the moisture in your basement, measure its dimensions, and choose accordingly based on those parameters. Dehumidifiers run very similarly to that of your HVAC system, so running costs can be quite significant. 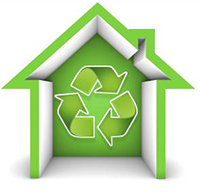 Look out for energy efficient models to keep the costs down. Many newer models run on less power without sacrificing efficiency. When it comes to noise, quieter is always better. Depending on where the dehumidifier is placed, it can produce up to 67 decibels of noise. Some manufacturers design their machines to be quieter so that it can be used around the clock. Pay attention to noise levels, especially if you’re in a smaller space. A dehumidifier can transform your basement from a drab and damp abyss into a comfortable space you don’t mind spending time in. These devices dramatically improve air quality by removing excess moisture and contaminants. Most people don’t even realize how much moisture the air was harboring until they see it in the reservoir. With a high-quality unit, you can avoid potentially harmful mold and keep your basement and any of your belongings safe. 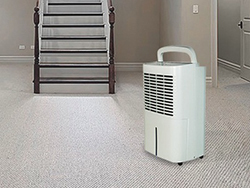 Whether you’re using your basement as storage or as a relaxing man cave filled with cool gear, a dehumidifier will make the space that much better.